Wedding cars are about a whole lot more. Obviously, getting the bride to the ceremony on time is critically important. 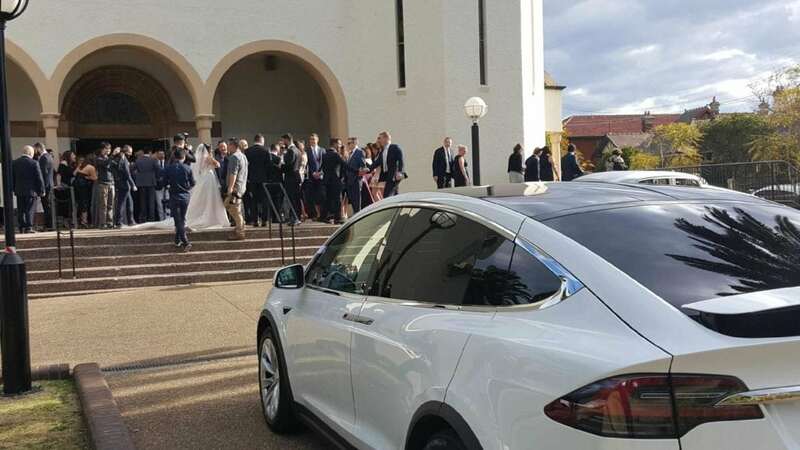 However, organising wedding cars for the big day is just one part of the transport logistics that needs to be considered when arranging a wedding. Hens/Bucks night – Getting yourself and your friends safely to and from a number of venues can sometimes be tricky. It may involve travelling out of town, stops at multiple venues and may even extend over several days or a weekend. While hiring a disco bus complete with large TV’s, disco lights, dancing poles, etc may seem like a fun and economical option, it often sets the wrong tone and can lead to behaviour that can prove to be a lot more problematic and costly than anticipated. Interstate/overseas guests – Some guests may be attending the wedding who need to be picked up at the airport or dropped off after the big event. Organising this amongst all the other activities can be challenging. Revel Drive can arrange to meet those guests and transport them to the event or their accommodation. Special Guests – Sometimes there may be guests with special needs (a frail aunt or small children) who need to be transported and cared for. We can arrange to collect your special guests where required. Last Minute Items – Occasionally things can go wrong and you may suddenly run out of time. We can assist by picking up those last minute items for you. Collecting and delivering flowers, chocolates, cakes, decorations, clothes, etc is all part of the service we can provide. Mayday – Oops, I forgot to bring the wedding ring! Sometimes these things can happen and there may be a need to make an emergency dash to fix something that has been overlooked. Wherever possible, we will assist with any last minute emergencies. The BIG Day – We will transport the wedding party in styler and comfort to the ceremony, to/from the photo sessions and to the function afterwards. End of Function – We can transport the newly married couple to their first nights’ accommodation. We can also pre-arrange to transport special guests to their home. Honeymoon, here we come – Why take the first step of your new life in the back of a cab. We can assist in transporting the newly married couple to/from their hotel, new home, to the airport or other locations to start their honeymoon and new life together. After arrangements – After the wedding there are often a number of small items that may need to be attended to where we can assist. Collecting the wedding dress, wedding gifts, left over wedding cake, returning suits and equipment are just some of the small items we can assist with. Set up an account for the wedding and use us as much or as little as you require. Rest assured that we will be there for you on your BIG day. We charge based on our standard rates and do NOT include a wedding tax.